This Dragon Mask DIY Craft is a fun activity for your next dragon party. 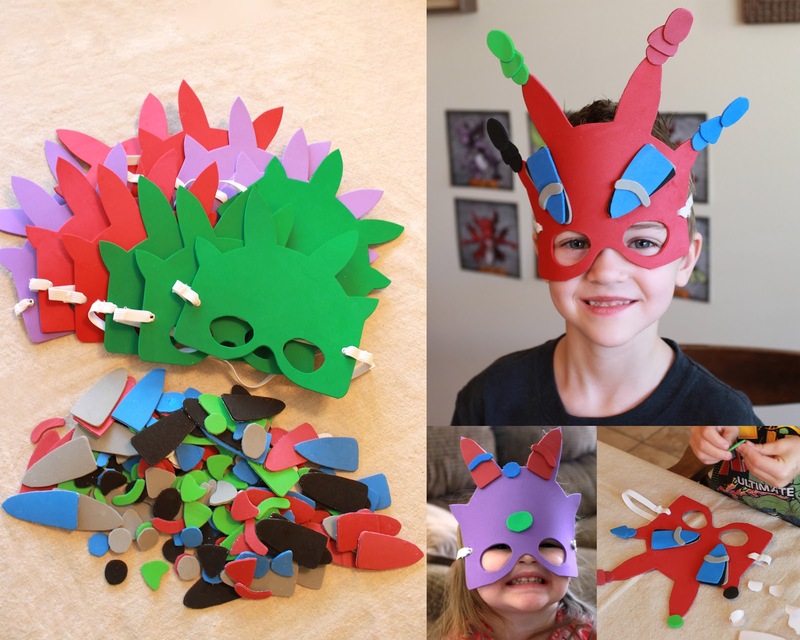 The Dragon Mask gives kids an opportunity for creative self expression. The craft can be a wonderful activity to do as guests arrive. And the kids will love wearing their dragon mask throughout the party. The Dragon Mask pattern is simple to trace and cut out of craft foam (available at most crafting or super stores) using scissors. Use adhesive-backed foam on the small shapes, so the dragon party guests can apply them to the mask easily - like a sticker. We made our mask pieces before the party, so they were ready to decorate at our dragon party craft station. The dragon mask craft was lots of fun at our event and each guest got to take home a unique creation for their dress up box. 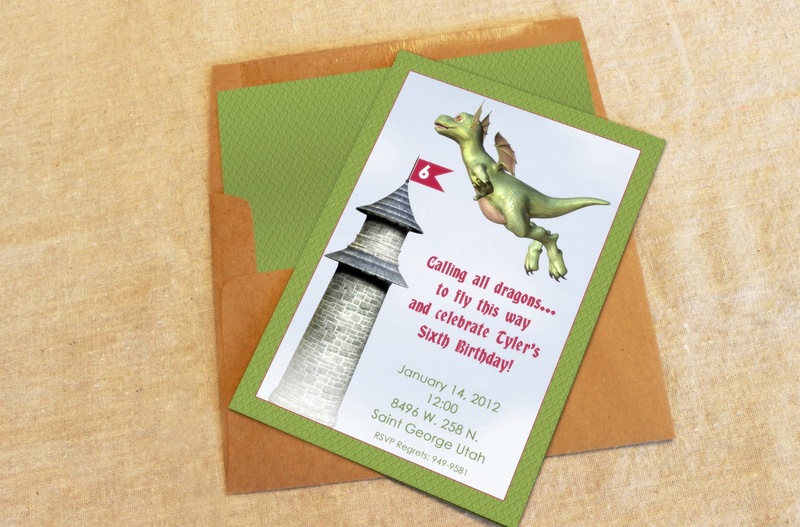 These Dragon Party Favors are a big hit for your next dragon party. 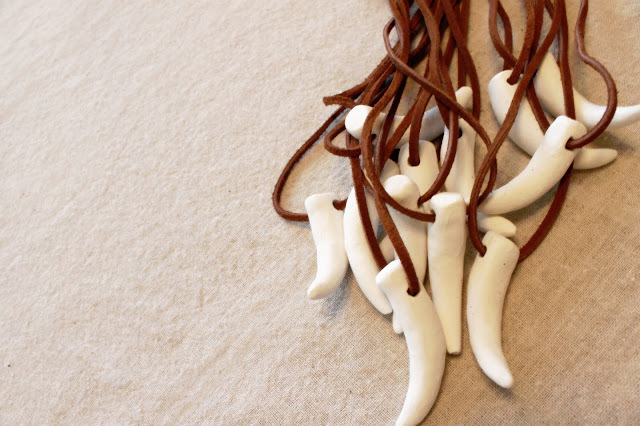 Each guest can wear home this quality dragon tooth necklace along with their dragon mask. At our event we created a scavenger hunt and the little dragon guests collected beads to add to their dragon tooth necklace. The leather strap is secure but knotted loosely, which allowed the kids to untie and refasten with the additional beads and charms. 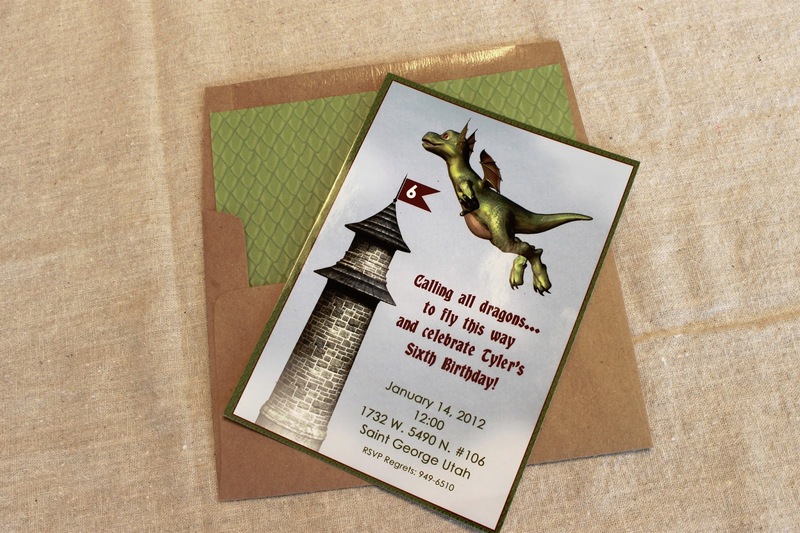 These dragon party favors are a big hit! The dragon teeth are each uniquely handmade with quality clay, measuring approx. 2-1/2"-3" long. The leather lace is a generous 15" drop, and comes in black or brown. 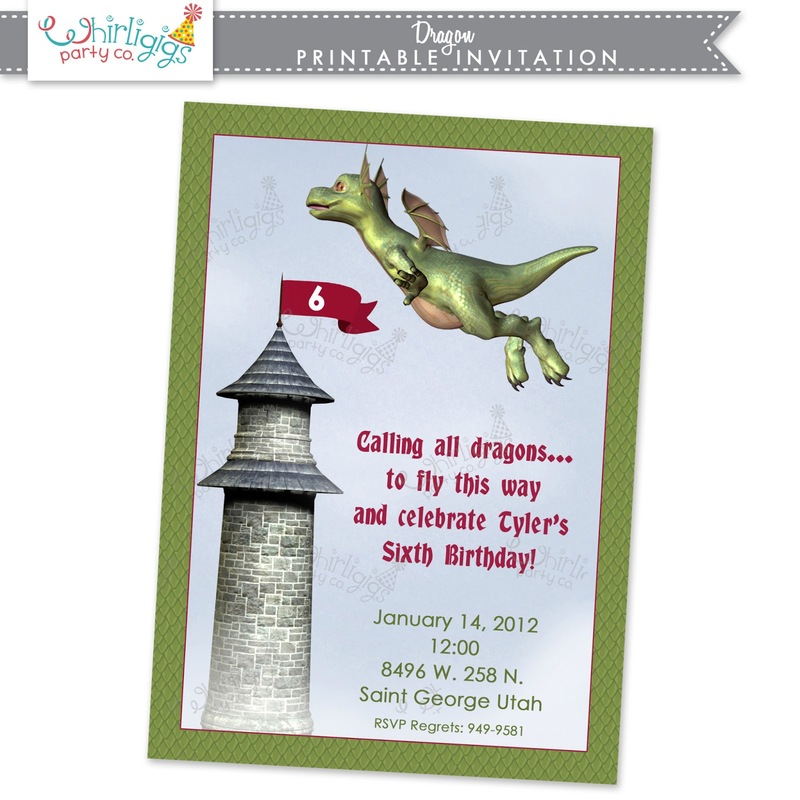 Order your dragon party favors here.